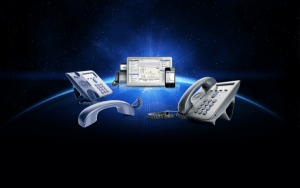 Why you should consider IP Phone Systems over Analog phone systems? VoIP technology has greatly advanced over last one decade with the advent of high speed internet. The major difference between IP phone system and analog phone system lies in the way the voice signals are delivered. The signals are carried over a copper wire in an analog phone service, while the signals are delivered over an IP data network in VoIP service. Analog phone system is a traditional telephone system that converts voice signals into electronic signals which travels over a telephone line. VoIP stands for Voice Over Internet Protocol. In VoIP technology, the system works by sending and receiving voice signals that are packaged as data. Alpha Computer Group is a leading name in Long Island as an IP phone system provider. In fact Alpha Computer Group offers wide range of telecommunication solutions including like Asterisk, FREE pbx, Elastix, PIAF, Trixbox Support Long Island, Telephone System Installation Long Island and VoIP Long Island. IP phone system has several advantages over analog system and that’s the reason why gradually more and more businesses are switching over to digital phone system. Digital phone system has changed the world of business communications dramatically in terms of scalability, functionality and cost. On top of standard calling features in VoIP, you have others facilities like call recording, IVR or Auto Attendant, voicemail to email, Time of day routing and many more. VoIP phone system provides matchless flexibility such as they can be run completely over the internet making it possible for your employees to answer the call virtually from anywhere across the globe. This has entirely revolutionized the way business are operated around the world that has truly allowed employees to work remotely. Bootstrapping startups or startups running on shoe string budget can also benefit from VoIP since the system is extremely cost effective. Since the phone system is internet based, there is practically no requirement of expensive setup or installation fees. VoIP phone system is managed by the provider. Business owners don’t have to literally bother themselves with purchasing of hardware or equipment or maintenance cost. Businesses need to only pay monthly “per seat” fee for the access to your provider’s service. Analog phone system provides ability for only two people to speak at a time. However in the case of VoIP you can setup a conference with the entire team communicating in real time. Since VoIP compresses data packets during transmission in a real time, it makes it possible to handle more data over the carrier and there by handle more calls on one access line. VoIP phone system delivers considerable cost savings over a traditional phone system where time is money. That means you actually pay for each minutes you spend communicating on the phone. International calls are even more expensive. But because VoIP uses internet as the backbone, the cost is considerably low. According to a study it was found that, compared to traditional phone system, VoIP can potentially help you save up to 40% on your local calls and up to 90% on international calls. 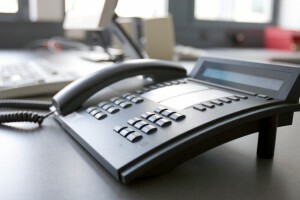 Why Do You Need Small Business Phone Systems in Long Island? Irrespective of the size and scale, every business needs telephone. Depending on the number of employees and the purpose, you will most certainly need office phone system since it is the lifeline that will connect your business with your employees, customers, vendors and the rest of the world. Be it a small business or a large corporation, the office phone system that you get installed should be reliable and easy to use, irrespective of the circumstances to ensure your business remains connected. Small Business Phone Systems in Long Island typically includes services like Asterisk, FREE pbx, Elastix, PIAF, Trixbox Support Long Island, Telephone System Installation Long Island and VoIP Long Island. There is wide range of office phone system available in the market to cater to the needs of small business, individual entrepreneurs, and mid to large size incorporations. But there are number of factors you might need to consider while you choose services among Asterisk, FREE pbx, Elastix, PIAF, Trixbox Support Long Island, Telephone System Installation Long Island and VoIP Long Island to have office phone system for your company. Here are some of the factors that you can consider to prioritize your options. How office phone will be utilized or how extensively will it be used? Points ranging from 1 to 5 will be little easier for you to figure out since being a business owner you will have fair idea where your business is heading. However to find out the list all the service providers for Small Business Phone Systems in Long Island, you can check with us. You can also get in touch with us, should you like to have free no-obligation demo of various office phone service providers. Once you have figured out these points, it becomes easy to decide which Small Business Phone Systems in Long Island will be suitable for your office. It is the most basic office phone system in the market and suitable for small business with less than 10 employees. It offers advance features like conference calls, call transfer, and multiple extensions without additional cost. The biggest challenge is the maintenance, since these systems are inexpensive, they aren’t supported by telephone company. It’s a multi line telephone system which is best suited for companies with 5 to 40 employees. It provides all of the basic features plus some additional advanced features. These systems are little expensive and includes the cost of installation and maintenance. It provides office environment with variety of telephone features, which is powered by central PBX cabinet. PBX system is suitable for companies with more than 40 employees. The telephone system offers facility to get easily integrated with other technologies. As the high speed internet connection becomes cheap, increasing number of companies are opting for VoIP. VoIP telephone system offers amazing flexibility, more features and costs significantly cheaper than traditional telephone service. The biggest advantage VoIP system is that you can make or receive call even while you are travelling anywhere in the world. VoIP system for your office is available in two popular solutions, i.e. Cloud-hosted system and on-premise VoIP solution. Based on the size and needs of your business you can choose any of the solution for your company. This is a cloud hosted system and a quick and economical solution to get started with VoIP system. The infrastructure is not physically located in the office premises. Instead the cloud hosted system is located at the secure data center by your service provider. The maintenance and management of the cloud hosted system is also taken care by your service provider. In this solution all the services are bundled together and are charged on a monthly basis. This solution is good for medium and small size companies. The On-Premise VoIP system is installed in your office spaces. 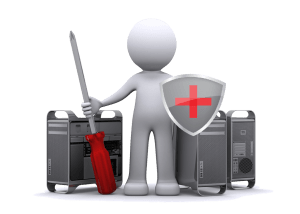 The business owner needs to purchase the solution and have it installed by his IT team or IT vendor, example – IT Technical Support Long Island. 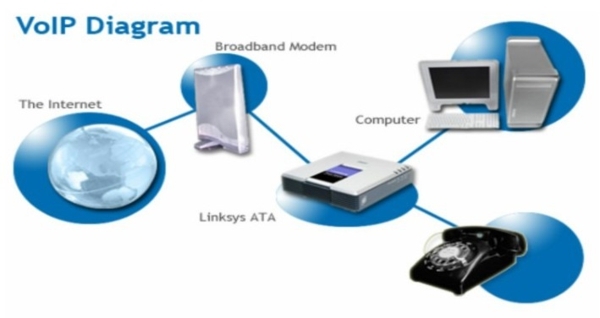 This solution can then be connected to both the local telephone company and to the internet to make both regular and VoIP calls.